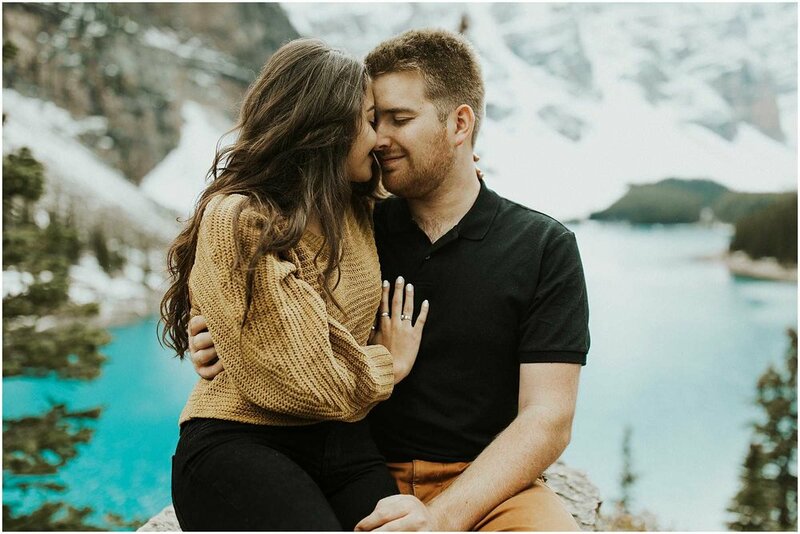 Lake Moraine in Banff National Park is a place I’ve dreamed of visiting for so many years so when these two wanted to do a fun, adventurous couples shoot in these blue majestic waters, I was so down. 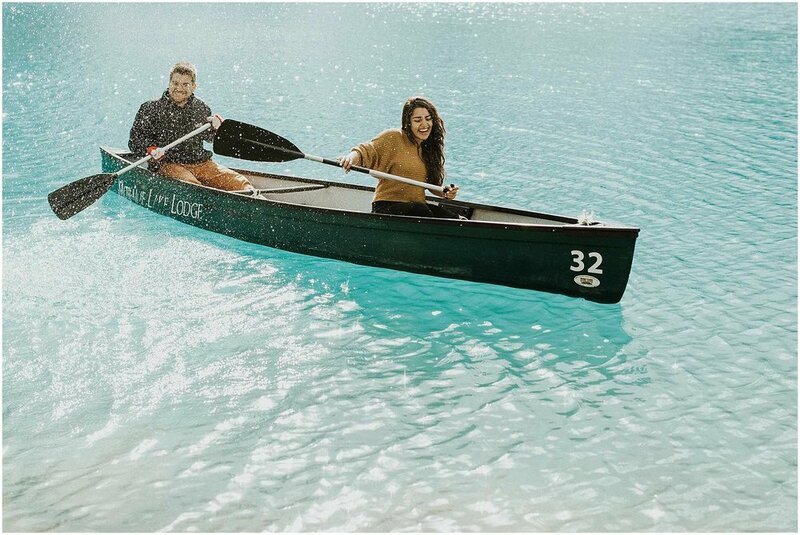 There are only a handful of places that I have been that have water this blue, but to get to not only look at the freezing cold water from the sidelines but also hop in a canoe and see the endless depth of this Kool aid colored water was an experience I will never forget. Havilah + Stephen (who are also amazing Canadian based photo/video team) canoed around the water's edge for a while so I could get photos of them, and then Rich and I hopped in a canoe ourselves to experience it. 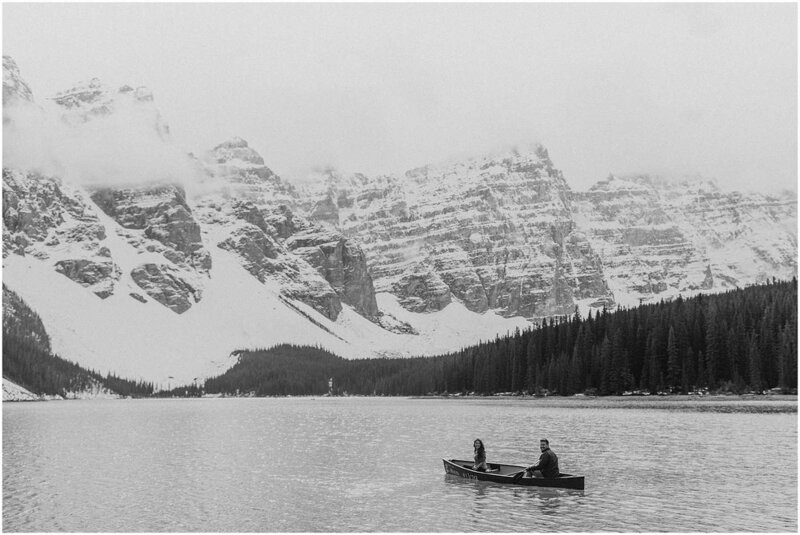 I could have just laid out there for hours looking at those snow capped mountain ranges, plus when you are in the water, you can't really hear anyone so it was dead silent with the slightest breeze and the most peaceful thing ever. 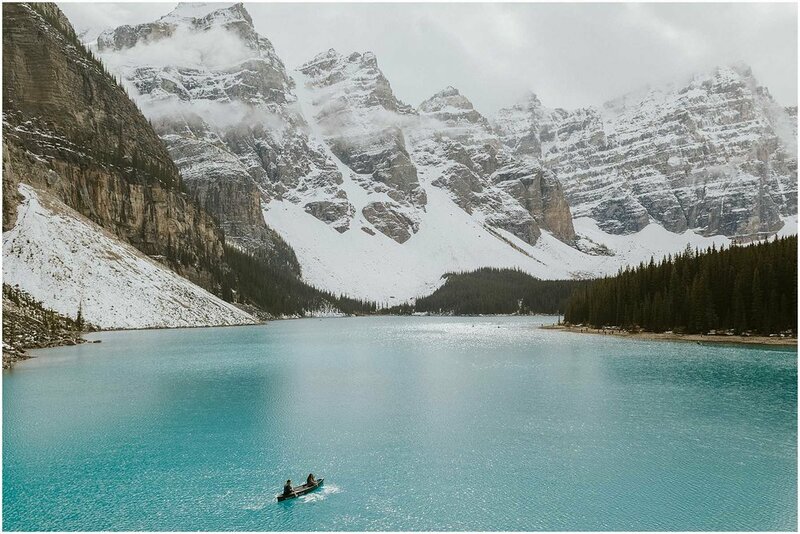 If you haven't ever visited Banff National Park, this is not the only blue lake, they are all over the park + beyond. We spent a week there, did a few shoots, and spent a few days just driving around exploring as much as we could, and as much as the weather allowed. 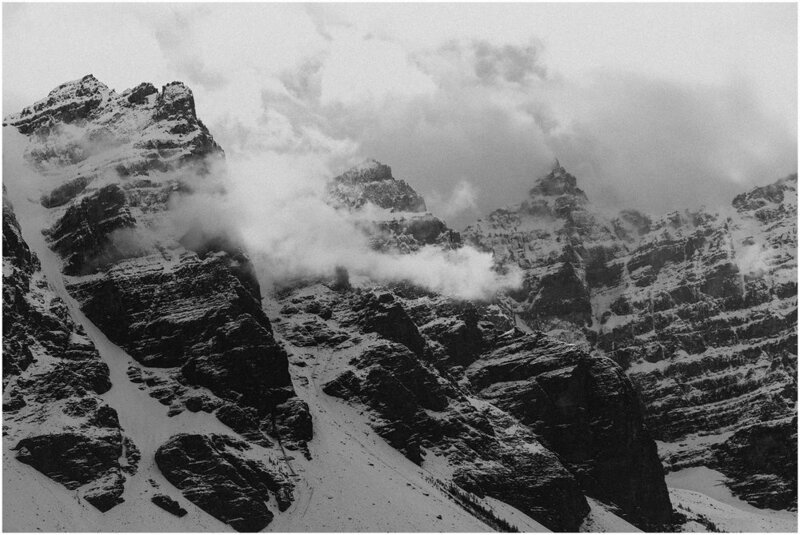 We went in September which is a pretty decent shoulder month - right when the trees are in full bloom of their fall colors, but also right when the snow starts to fall and cover the peaks, while temperates slowly drop. 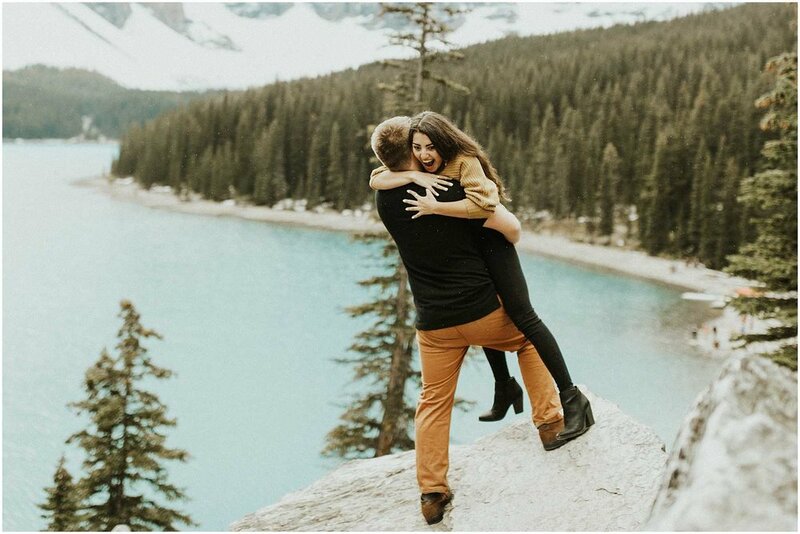 Yosemite is also my favorite park to visit in the shoulder season, check out a few favorite fall weddings here + here. 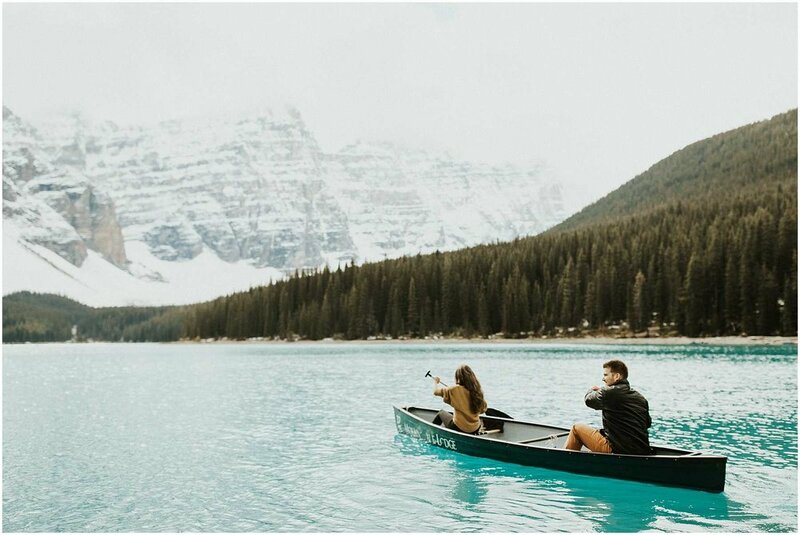 It's not as busy as the summer season, but as one of (if not the most) popular parks in Canada, you will always be accompanied by fellow tourists from all over the world. It's easy to get a place to yourself if you are willing to hike into grizzly country a few miles, but on this trip we stuck to just exploring the lay of the land. 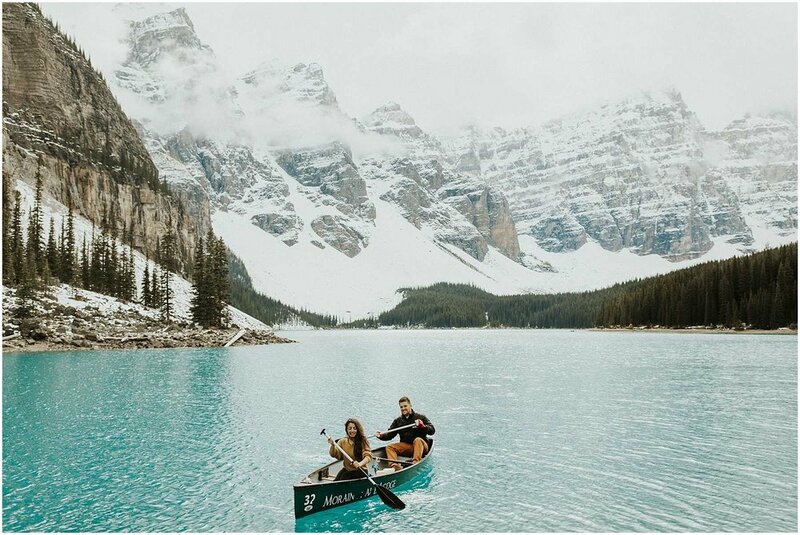 Thank you Havilah + Stephen for such a fun day exploring Lake Moraine and for being so down to get in a canoe and experience the lake in the best possible way.